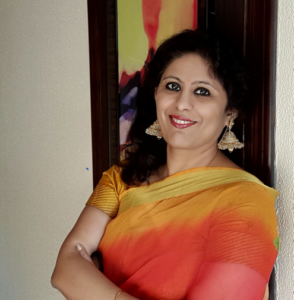 Dr. Neeru Tandon, Associate Professor, Department of English, VSSD College, Kanpur is the first and only professor to have the degree of D. LITT in English from CSJMU,Kanpur, since its inception. MHRD and UGC has appointed her as paper Coordinator for their projects epg pathshala. Chairperson and Coordinator ELT@I Kanpur Chapter. She is the Chief Editor of ILLUMINATI,An International Journal of Literature,Language and Culture and Associate Editor of The Atlantic critical review, (NEW DELHI),The Expression,(FIROZABAD), VIRTUOSO,(HYDERABAD) Journal of All India English Teachers Association.She is the Executive member (north zone): AESI. Dr. Tandon is teaching since last thirty years in a P G College. She has several publications to her credit that includes 22 books and 98 research papers. She is PDP Trainer for schools and Technical colleges,paper setter and the course coordinator at IGNOU (M.Phil. program on gender study) and CSJMU.